Cross-section of an eco-PEN450 with the 2mm hole for the optional cylinder pin. After disassembling the dosing system, users are always faced with the same annoying task: The system must be re-adjusted and attached to the robot. preeflow has now found the solution for this recurring process after cleaning or disassembly! In the future, all eco-PENs will be fitted with a mounting hole, which allows for an exact, reproducible assembly. 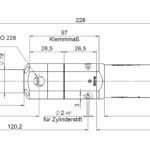 The hole can also serve to integrate a locking aid – a cylindrical pin which provides a defined stop. Therefore, when the dispenser is reassembled, it is not necessary to reprogram the robot in the Z axis. A collection of brackets used for mounting the robots. 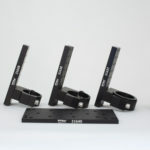 Due to increased demand, preeflow is also expanding its product portfolio with robot brackets. There are a large number of different applications in the field of dosing technology in which Cartesian dosing robots are used. With the possibility of a uniform adaptation of preeflow’s volumetric dosing systems, a functioning process is created: by combining flexible and reliable operation of the table robots with the consistent quality of the dosage. The brackets can be attached to all commercially available bench top systems, e.g. from Janome or Fisnar – regardless of whether 1-component or 2-component dosing valves are in operation. 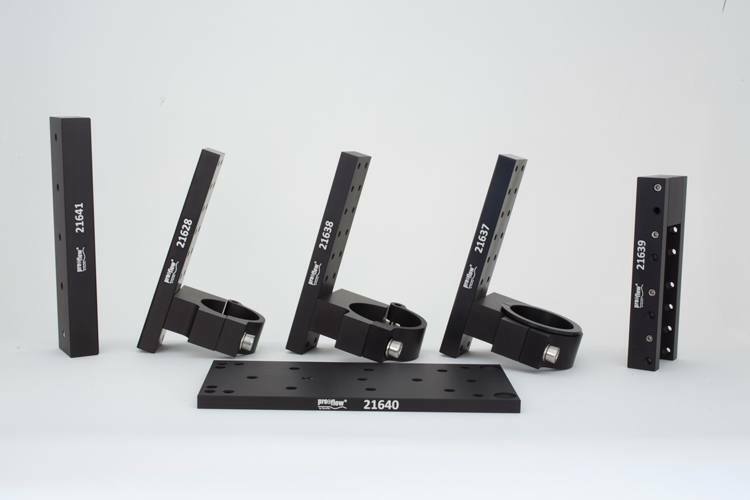 The brackets consist of an adapter plate, a U-rail, a dosing valve holder for preeflow eco-PENs and a block for connecting the eco-DUO product series. As always, for the products of the preeflow family, in an application-friendly design. The system has also been supplemented by a quick-change system on a hinge for eco-PENs. In conjunction with the optional centering pins on the eco-PEN, a position-accurate vertical adaptation can be achieved. Accordingly, in the case of simple bead or dot dosing, an exact reproducibility can be ensured.